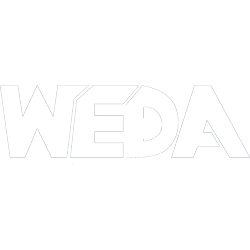 The Western Dredging Association (WEDA) is proud to offer two (2) continuing education short course at the 2019 Dredging Summit & Expo. Both courses will be held at the Hilton Chicago on Monday June 4, 2019. For your participation in either of the courses, you will receive a certificate for 4 professional development hours (PDH’s). The Dredging 101 – “Basics of Dredging, Dredged Material Management and Environmental Considerations” course has been developed and is provided exclusively by the Western Dredging Association (WEDA) for the purpose of helping anyone interested in learning about the basics of dredging and dredged material and environmental considerations in an easy, enjoyable and efficient manner. All attendees will receive a hand-out/syllabus which will serve as a convenient reference manual and which contains handy links to additional resources and information. This course qualifies for 4 Professional Development Hours (PDH’s). Certificates will be issued via email upon request. Mike Mutschler, Sr. Hydrographer / Principal, Seahorse Geomatics, Inc.
Short Course Description: Seahorse Geomatics, Inc. will provide a short-course on multibeam bathymetric mapping for dredging. The short-course explains the challenges and solutions involved in sensor setup, calibrations, validation, operation, processing and export for condition, pre-dredge and post dredge surveys.